Rohingya Language was first written in Arabic script in the year 1650 by Shah Alawal, the great poet of Arakan Kingdom (known as Ruháng) which is now one of the states of Burma (Myanmar). In 1973 Master Sultan revived it with great efforts and received appreciation from many Rohingya scholars. However, due to the reading problems in Arabic version, Molana Hanif and colleagues invented new alphabets in 1983 and solved reading problems significantly and they too got appreciation from scholars. However, complexity of the alphabets and right-to-left orientation make it uneasy to use it in today’s computer, internet media and mobile devices. Click here for other websites. Therefore, in the year 2000, Eng. Mohammed Siddique Basu came up with an intuitive idea to write Rohingya language using 28 Latin letters only. The new concept makes the writing system amazingly simple yet the speaking and the writing perfectly match to each other in an astonishing degree making it “What you write is what you read or vice versa”. So it requires only few minutes of training to read, write and master the language. This new system, known as Rohingyalish, has been recognized by ISO (International Organization for Standardization) on 18th July 2007 (view both pages 1&2). ISO assigned unique computer code as ISO 639-3 “rhg” to the language and listed it among the world languages as shown in www.SIL.org, the ISO authorized website. Moreover, it has been published in the world language book ‘Ethnologue’ (www.ethnologue.com) in 16th Edition. Alphabet: Rohingyalish uses all 26 English alphabets plus the two Latin characters ç and ñ to get retroflex r sound and nasal sound respectively, for example, Faça, Fañs, Keñça. A number of Rohingya words such as Shamish (spoon) and Shíshshiçímas (a kind of fish) consist of multiple sh causing reading difficulty. So Rohingyalish defined c as equivalent to sh sound and simplified the above words as camic and cícciçímas. The alphabet order is: a b c ç d e f g h i j k l m n ñ o p q r s t u v w x y z. In addition it uses five accented vowels á é í ó ú for emphasizing sound. There are two different types of h sounds in Rohingya, represented by h or kh. For example, háñti (=tiger), háñc (=duck), háf (=snake), háwa (=wind), hácor (=dooms day), etc. and kholom (=pen), khóro (=soar), khúci (=happiness), khálak (=character), bokhíl (=miser), etc. Vowels can be categorized into two Soft (shown in green) and Hard (shown in violet). But there are four types of vowel as shown in table 1-4 above, namely Basic, Circular, Extended and Extended circular. The four types of soft vowel sets are; Basic (a-e-i-o-u-ou), Circular (ai-ei-oi-ui), Extended (aa-ee-ii-oo-uu) and Extended Circular (aai-eei-ooi-uui-ooi) as shown in green color above. Each soft set is accompanied by a stressed set which are; Basic (á-é-í-ó-ú-óu), Circular (ái-éi-ói-úi) and Extended that includes three variations (aá-eé-ií-oó-uú), (áa-ée-íi-óo-úu) and (áá-éé-íí-óó-úú). Also there are Extended Circular that includes two variations (aái-eéi-oói-uúi-oói) and (áai-éei-óoi-úui-óoi). There are six basic vowels (a, e, i, o, u, ou). Each basic vowel is strictly defined to have only one sound and all six sounds can be found in an English phrase “america on full tour”. The basic vowels can be either soft or hard. The soft vowels (a, e, i, o, u, ou) are pronounced soft and the corresponding hard vowels (á, é, í, ó, ú, óu) are pronounced hard (stressed). Please note that in óu, only the 1st char is accented and not both. Examples: bura=bad, burá=old, búra=stained. You get five circular vowels (ai, ei, oi, ui, ooi) by simply adding (i) to five basic vowels (a, e, o, u, ou). [ Here ou is converted to oo for simplicity]. Each circular vowel is strictly defined to have only one sound only. To know the sounds of five circular vowels, five Rohingya words (bai, beil, boil, tui, ooin) are compared having same sound in English as (by, bail, bouyl, muei, ouin). While (ai, ei, oi, ui, ooi) gives soft sounds (ái, éi, ói, úi,óoi) give you the corresponding stressed sounds. Examples: Lai=basket, zai=go, beil=sun, ooin=fire, bóin=sister. (a, e, i, o, u) are the 1st five basic short vowels. To get extended sounds of these, double the letters as (aa, ee, ii, oo, uu). Ou is by itself extended so it is omitted in this extended table. You can get stressed extended vowels in three different ways; (áa, ée, íi, óo, úu), (aá, eé, ií, oó, uú) or (áá, éé, íí, óó, úú). 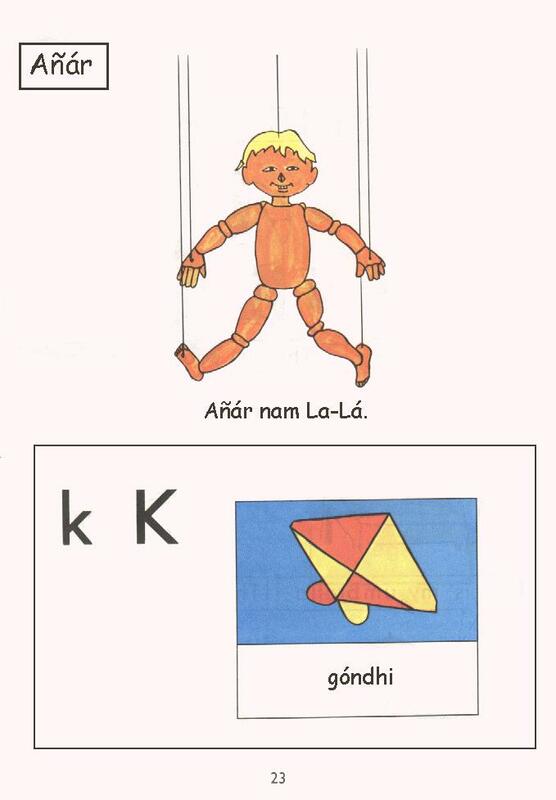 Examples are: Gaa=body, Gaá=sing, Gáa=wound. Add i to the extended vowel set (aa, ee, oo, uu) and you will get extended-circular vowel set as (aai, eei, ooi, uui). There two emphasize sets as shown above. Examples are: Ooin=fire, Neeillé=came out, Baáizar=overflowing, Beéinna=morning, Foóila=first, Ruúil-mas=a kind of fish, Sáaiféla=filter it out.